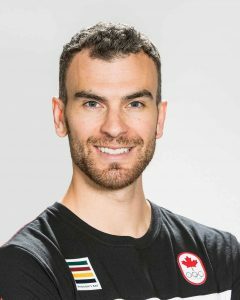 Olympic gold medallist Eric Radford says coming out publicly in December 2014 was “an amazing process” and helped him on the road to achieving figure-skating glory at PyeongChang 2018. Speaking to Level Playing Field, the new LGBTQ in sports podcast series hosted by Randy Boose, Radford reflects on his decision to share his story with Outsports in December 2014, having won team silver at the Sochi Games earlier that year. In the feature article titled ‘Eric Radford: Olympic figure skater, medal-winning family man. And gay’, written by Cyd Zeigler – who has also been interviewed for Level Playing Field – the then 29-year-old Radford talked about his inspirational late coach Paul Wirtz, his pairs partnership with Meagan Duhamel, and his home life in Montreal. Within months of the article being published, Radford and Duhamel won pairs gold at the World Figure Skating Championships in Shanghai. Looking back over four years later, Radford says his decision at the time to do the interview was not influenced by anyone else and was driven by a desire to help others. “I actually didn’t tell anybody, I didn’t even really tell my parents that I was going to come out publicly,” Radford tells Boose on the LPF podcast. Although other LGB skaters had come out publicly before, Radford’s interview made him the first to do so while still competing for championship titles. A period of sustained success with Duhamel followed, with their Worlds triumph in Shanghai repeated in Boston in 2016. “Everything just kind of snowballed. It was an amazing process,” said Radford, recalling the effect of being out on his subsequent performances. “That actually surprised me after coming out, how I felt when I was on the ice. “It was like bricks lifting off my shoulder. It’s like when you come out just at home, within your family, you feel lighter because you’re more yourself. “I was out to my friends and family so I was very comfortable around them and comfortable in my own skin, but it translated even more to the ice when I came out publicly, because I had nothing left to hide for anybody else, in the public. Listen to Eric Radford’s interview on the Level Playing Field podcast. Also available on iTunes. For more LGBT+ in sports content, see our Recommended page. This entry was posted in Level Playing Field Podcast, Network News, The LGBT Line. Bookmark the permalink.